Shortly after the Mets won the NL East, the Mets sought to cash-in on the opportunity by selling champagne bottles and corks from the team’s celebration. To be fair, other teams did it too, but it feels different when it’s the Mets. 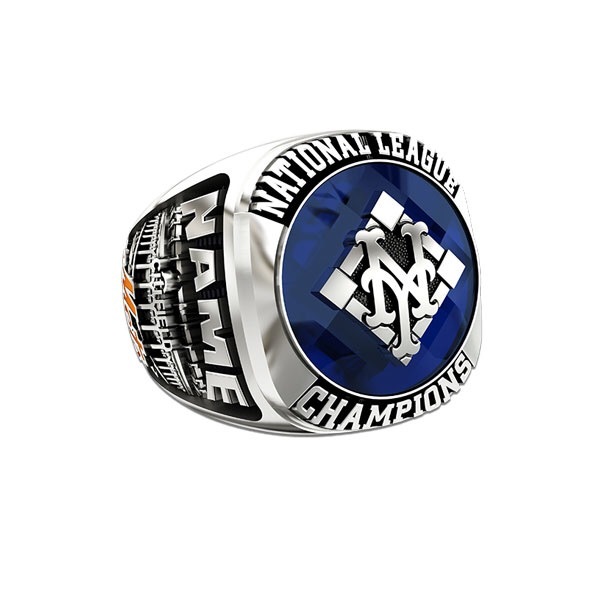 First off, I’d like to note how the Mets went with Jostens. If Jostens sounds familiar, they should. They’re the company that made that cheap over-priced high school graduation ring of yours. You know the design. Giant fake stone on top, year on one side, and some design on the other. I’m happy to see they didn’t stray too far from that pattern here. A team like the New York Giants went with Tiffany for their championships rings, but I digress. 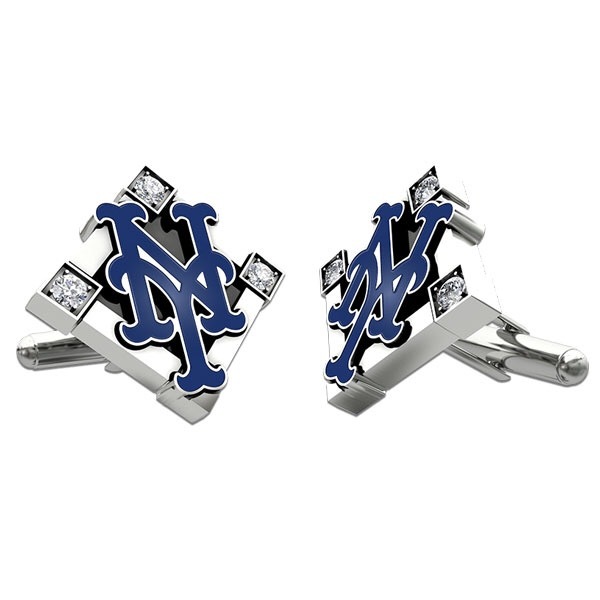 Jostens has created a 2015 Mets Championship Fan Collection. Put aside your feelings on whether the collection looks good or not. That’s subjective. Regardless of whether you like it or not, the collection is overpriced, and you can better spend your money elsewhere. Note, I don’t go through the Women’s collection because neither my wife nor mother would want any of it. If anyone’s going to buy stuff like this, it’s me. As you’ll see, no, I will not be buying anything from the collection. Let’s start with the $39.00 key ring. First of all, let’s be honest – $39.00 for a key ring is absurd. It’s even worse when it’s made out of “non-precious metals” (i.e. tin or titanium). If you go Amazon, you can get a Mets keychain that also serves as a bottle opener for $7.53. It not only serves the same purpose, but it’s also more useful. In terms of Mets tickets, $39.00 can get you Promenade Infield tickets to a Mets game this weekend. For a dollar more, you can sit in the Field Box for a mid-week game. At least this uses Swarovski crystals which have some value. However, why do you need to spend $199.00 to hold papers down on a desk? Is your office located in a wind tunnel? Are there no rocks available outside that you can use to hold down the papers that are in no threat to go flying off your desk? Instead, for that same $199.00 you can sit in the Delta Club when the Mets play the Royals in June. These seats are behind homeplate, and it gives you access to the Delta Sky360 Club. 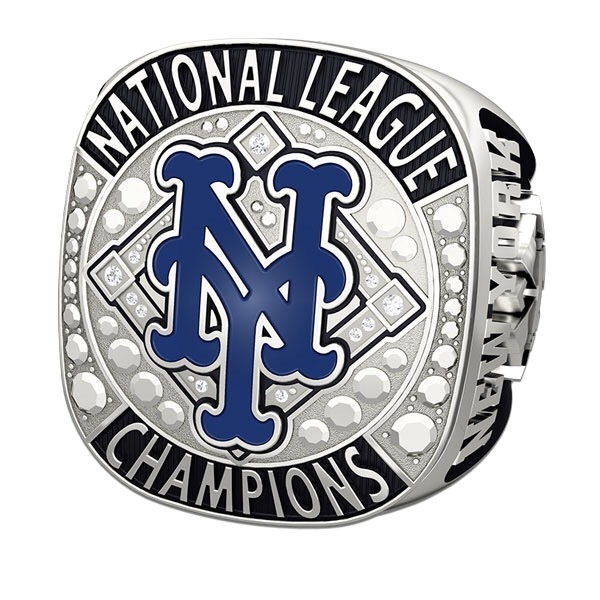 At some point, you may be able to pick up an authentic rock – or paperweight – from Citi Field to hold down your papers. Well, that’s quite a range. You could spend anywhere from $269.00 to $2,609.00 for effectively something that does the same thing – it keeps your shirt sleeves fastened while effectively preventing you from rolling up your sleeves and getting some real work done. As we know from the paperweight, you can get tickets to the Delta Club for the price of the White Lustrium (by the way I must’ve missed that metal on the Periodic Table of Elements) and Cubic Zirconium cuff links. If you upgraded to the silver, you could get the Promenade Reserved 20 Game Weekday Plan or a ticket to the Hyundai Club seats for a Mets-Yankee game. The Hyundai club also includes free food for the game. As you move up the line towards 10K Gold and Diamonds, you can get the same plans in better seat locations. If you got the “top of the line” cuff links, you can get a full season ticket plan in the Field Reserved. As you have the option to customize it, the price of this varies. By the way, you have to love the gaul it takes to make jewelery in the fashion of an identification for soldiers in the event they die. Who knows the reason why they went in this direction? Maybe this is a relica of what they give you when you enlist with The 7 Line Army. They don’t give you the carats for the diamonds because you don’t want to know. By the way, think of the caliber of diamonds they are using if it costs only $130 more than cubic zirconia. 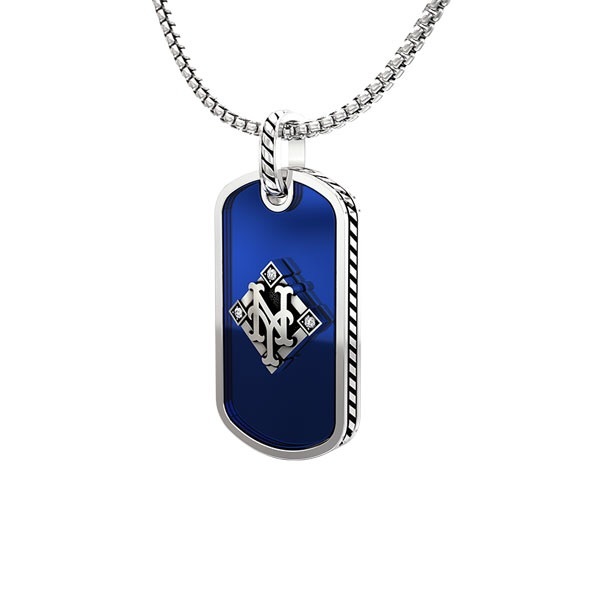 This necklace is so expensive, we are now in the realm of season ticket plans no matter which option you select. If you do the cheapest necklace route, it’s the equivalent of the Coke Corner 20 game Sunday Plan, a Promenade Infield 20 game Saturday Plan, or a Field Reserved 20 game Weekday Plan. You also could purchase a Promenade Reserved Weekday Half Season Plan. By the way, how elite is this silver if it’s worth about $2,000 less than white gold? 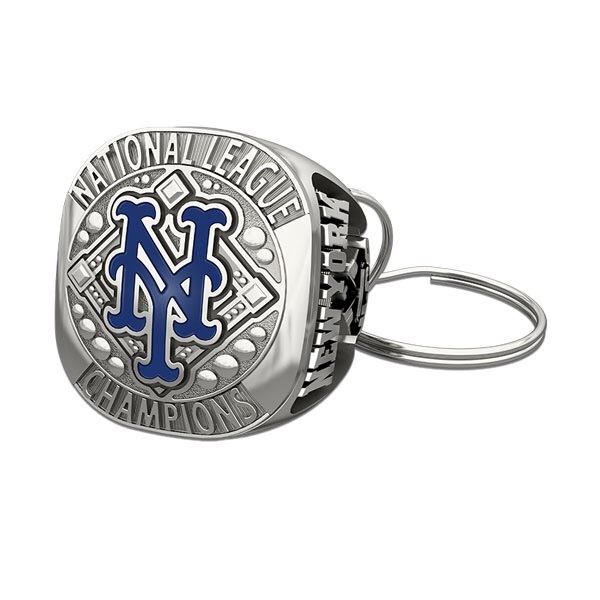 You can get your very own knockoff -sorry replica – National League Champions ring. Before reading, scroll back up to the paperweight. Yes, they look different. It’s understandable. Even though everything else is overpriced, to replicate the actual ring with diamonds or cubic zirconium would’ve been cost prohibitive. Note, they don’t tell you what that big blue stone in the middle is. There’s no difference in price between ring sizes. It costs the same whether you have fat fingers or slender piano player fingers. Also, it costs nothing extra to have the ring engraved. Based upon what’s already covered, we know based upon these prices you can sit in the Hyundai Club or get full season tickets. But hold on one second. The white gold ring costs $4,889.00! Seriously? That’s any 20 game plan in the Hyundai Club. Your half season plan is in the Metropolitan Box on weekends and Metroploitan Silver on weekends. Your full season ticket plan is in the Field Box. With that money, you can probably buy a jersey that never should’ve been sold in the first place. If this doesn’t convince you to buy tickets, or spend your hard earned money otherwise, ask yourself a question: when will you ever wear any of this? If you’re going to wear the stuff, ignore my sarcasm and snark. Go buy it. However, I really find it hard to believe you will wear a National League Champions ring anywhere. Think about it. When did you last wear your high school graduation ring? You actually earned that one. If the Mets won the World Series, I’d probably buy all of this garbage. I think when the Giants won Super Bowl XLII, I purchased a Super Bowl Champions dog water dish, and I don’t even own a dog (I didn’t). With that said, save your money right now. You’re going to need it for World Series tickets this year and the 2016 World Series Champion Fan Collection.